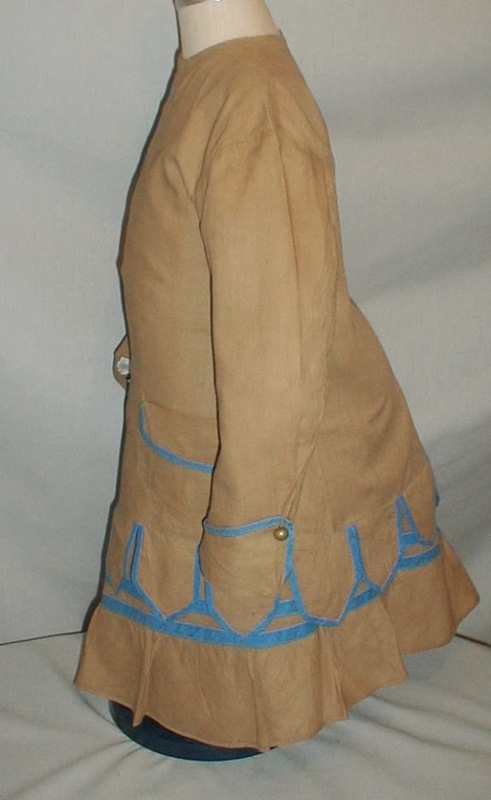 A darling child’s 1880’s two piece tan cotton bustle dress. 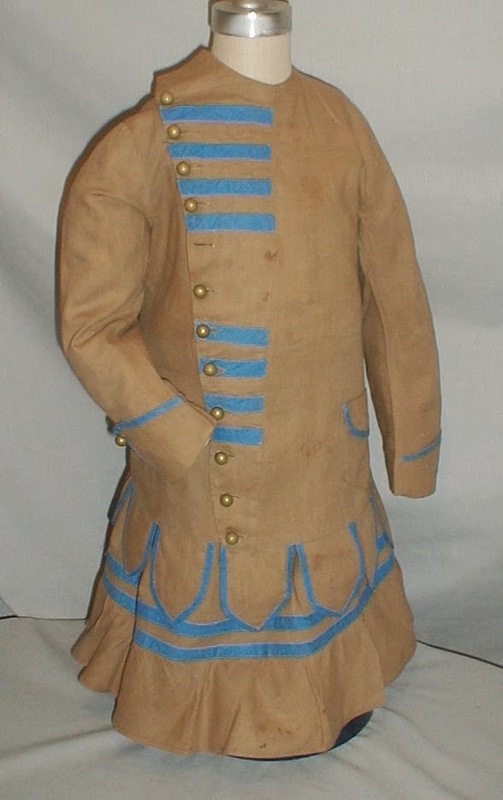 The long tunic styles bodice and skirt are trimmed with bands of blue cotton. The bodice has one side pocket and a scalloped hemline. 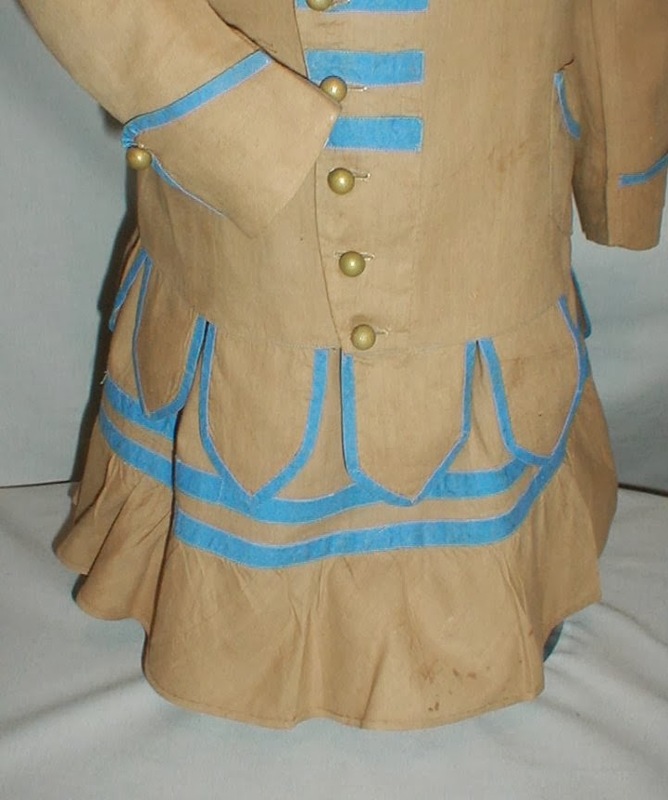 The pocket and hemline are trimmed with blue. The bodice has a front button closure. 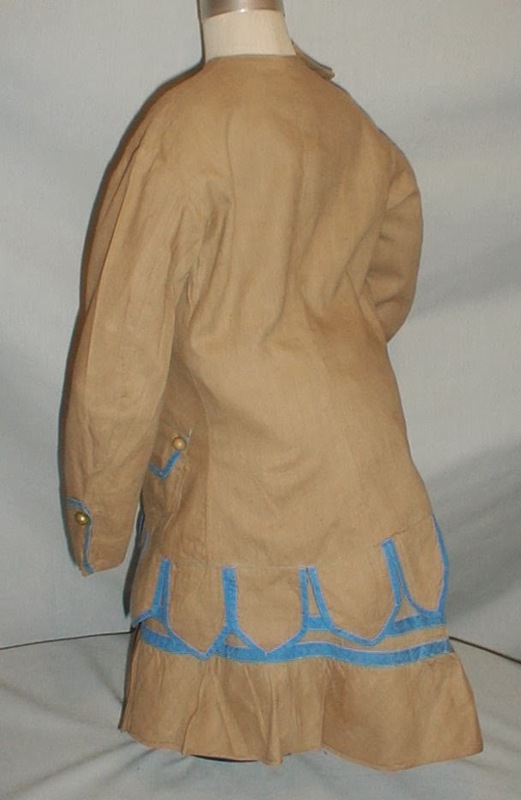 The skirt has a ruffled hemline. The bodice and skirt are unlined. The bodice has a front button closure. There is one missing button but the button on the pocket could be used for replacement. The dress is in good condition. There are a few pencil tip size holes in the skirt. There are a few small age spots on the front of the bodice and two dime size spots on the skirt that are hidden by the bodice. 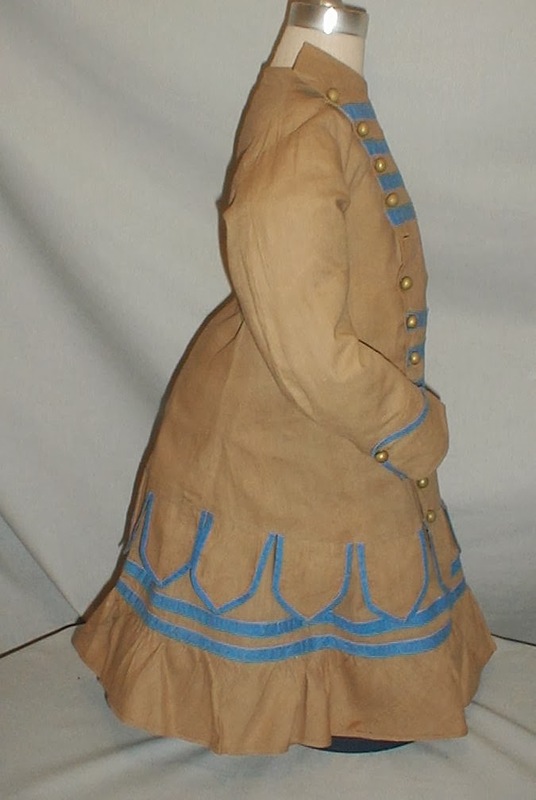 Shoulders 11 Bust 22 Waist 24 Skirt length 15 ½. It is being displayed over a bustle pad that is not included. 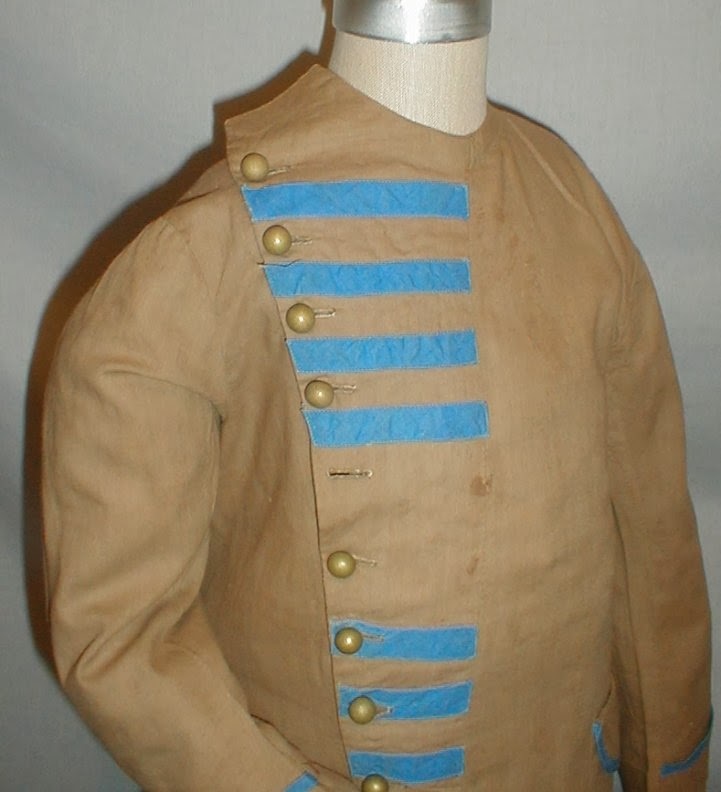 Given the length, the size, the colors, and the decorations, I'm thinking a small boy wore this.